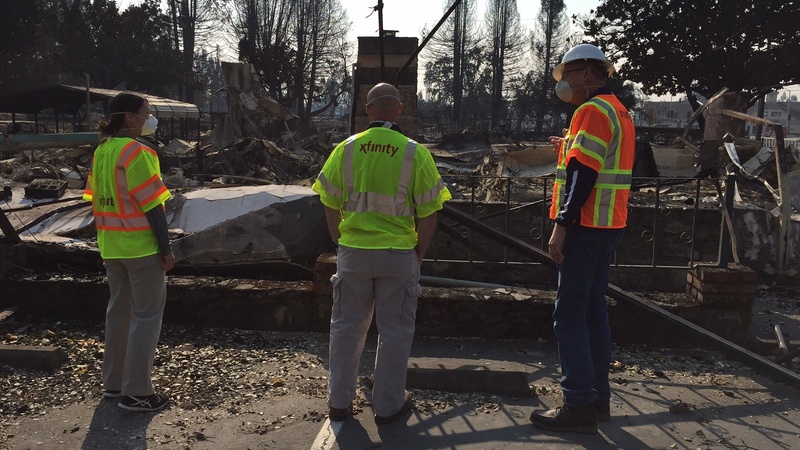 The restoration of residential and commercial services continues to be a top priority today at Comcast. But the aftermath of the devastating fires have dusted up another concern for residents living in and out of the immediate fire-ridden areas. Air quality in many parts of Northern California has been deemed unhealthy, which poses a risk with prolonged exposure. Keep indoor air as clean as possible if you are advised to stay indoors. Keep windows and doors closed. Run an air conditioner, but keep the fresh-air intake closed and the filter clean to prevent outdoor smoke from getting inside. In the car, close windows and doors and run the air conditioner, with the vents closed, and the AC in “recirculate” mode. Listen to your body and contact your healthcare provider (or 911 in the case of an emergency) if you are experiencing health symptoms. How do you tell if wildfire smoke is affecting you or your family? People with chronic heart disease or lung disease such as asthma and chronic obstructive pulmonary disease (COPD) may be more likely to have serious health effects from wildfire smoke. Simply Send A Text to 888777 with a Zip Code. You will receive text updates from Local Authorities.